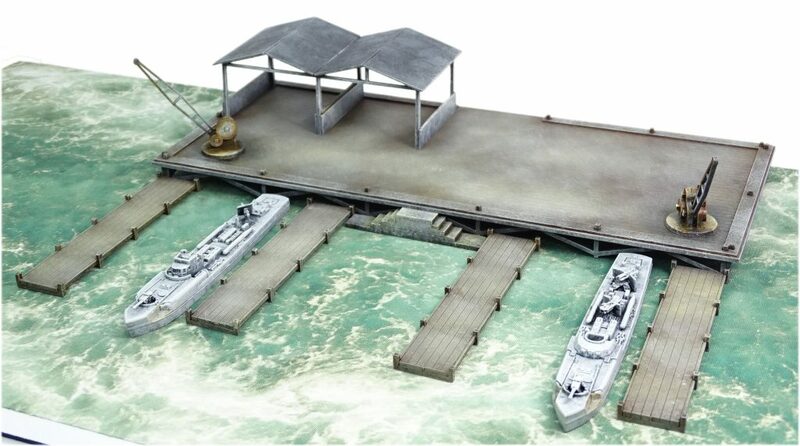 The terrain piece comes with the main loading dock and additional jetty sections. This is a perfect place for your boats to moor up, settle in and relax before heading out on a new mission. However, it might also be a perfect place for you to strike during a daring ambush! You could have a neat asymmetrical game set here where one side is rushing in to blow up the stationary boats whilst the opposition is struggling into their lifejackets trying to respond to the attack. You could have a lot of fun with that scenario I reckon! 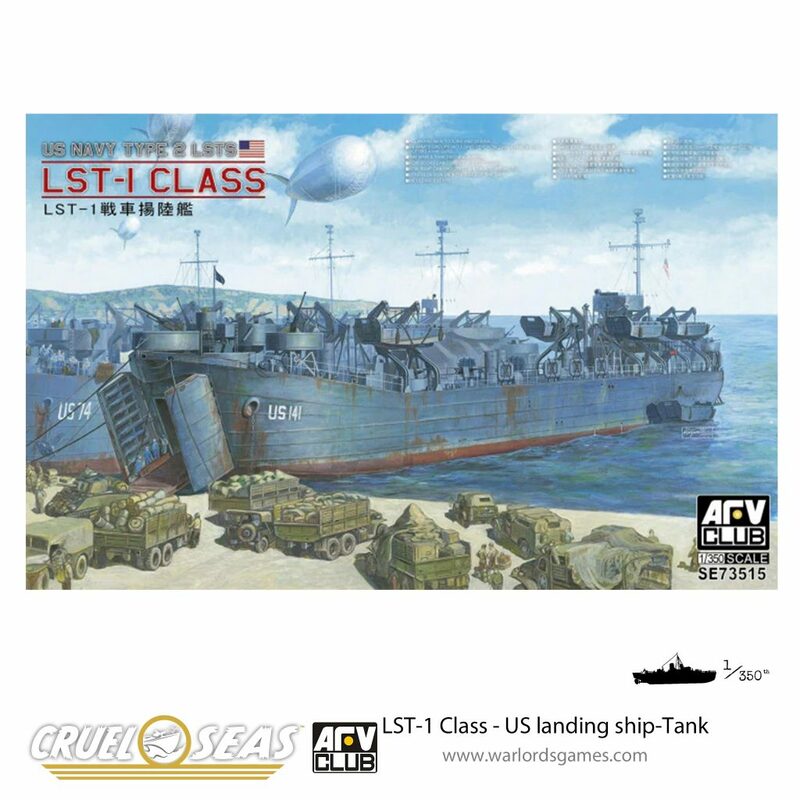 As well as this terrain piece, the team at Warlord Games also add this LST-1 Class US Landing Ship-tank into the mix for your games. ...and I think that key thing about the waterline is helpful here. It might be a good display piece but it could effectively be used in games if you went the extra mile. This was an incredibly well-used and hardy transport option for the Allies during the war so, once again, I'm thinking we could see some protect/destroy missions played out around something like this. "It might be a good display piece but it could effectively be used in games if you went the extra mile..."
Its very nice, but as apart from St Nazaire which had totally different layout there was not attacks on mtt/eboat pens so not sure how much use it is for game. 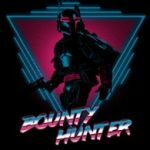 I can see it being a target for more land based commando raids as @warzan is planning for above game. Who doesn’t love a good motorboat.